If you are seeking a reliable online marketing firm that gets results, look no further, and we've the track record to prove it. Serious SEO, PPC, Content, Social and Email marketing, etc, for serious business owners. We work with businesses of all sizes, from sole traders to major corporations, but in the main our customers are small to medium sized enterprises (SMEs). We can help you with any form of online or email marketing that you require, and can advise on costs and the most appropriate choices for your business. We have a huge amount of experience and indisputable track record, particularly with SEO. For most of our clients we tend to start with one service and then as success is achieved, develop their marketing to cover multiple channels so the client achies a broad presence whilst maximising the potential for their budget. Search engine optimisation, or SEO, will almost certainly be the least expensive and most successful task you can do to increase visitor rates, enquiries and sales for your website. At Freetimers we have been 'doing SEO' since before Google existed, and over that time we have learned a thing or two about how search engines work, especially Google. 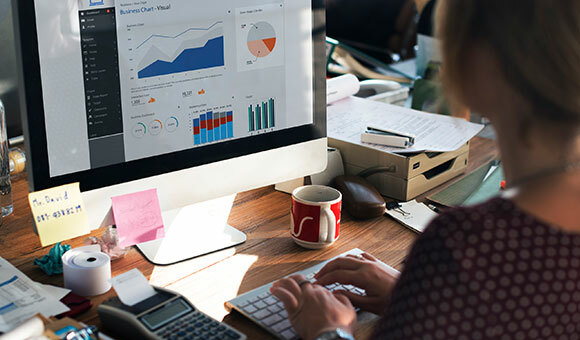 We have a deeper understanding than the vast majority of SEO companies out there, and we know we are one of the few that has actually developed its own inhouse software. We also prefer not to share our knowledge with everybody, because we want only our clients to benefit from it, not their competitors! But, no matter how good we say we are there is still no reason for you to believe us, and due diligence demands looking at the results we have actually achieved for our clients. 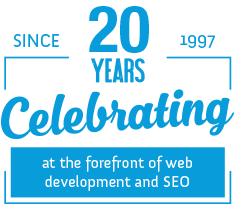 We know of no other SEO firm that gets results as good as ours, so we invite you to have a look at some of our web marketing and seo case studies, and we're fairly sure you will agree. (You can also see a fuller presentation of our SEO results on our dedicated online marketing site, at www.ft-webmarketing.co.uk.). All agencies are NOT the same. Despite the great results and ROI we consistently achieve, our SEO is not expensive, and we can tailor the service in line with what you can afford (within reason, our minimum monthly charge is £150 per month). AND, we will get you results that could transform your business. We HAVE transformed the businesses of many of our clients already, and many of these are now NO 1 in their sectors in the UK. Again, please see our seo case studies for some real examples. If you are serious about taking your business forward on the Internet, then we would be very happy indeed to talk with you. Phone us now on 01604 638421. We can set up and manage Google Adwords, Google Shopping, Bing, Facebook, Linked In and any other Pay-Per-Click campaigns you would like to run, whether they are on-going or one-off limited campaigns. We manage campaigns from £100 to £25,000 per month and we have experience going back to the very first pay per click services -- well before Google started theirs. We are an accredited Google Partner, and have always been able to improve results and the efficiency of existing campaigns we have taken over. Freetimers can assess, advise, structure, manage and fulfill any social media requirements appropriate for your business and budget. We will work with you to determine what would be the best approach for your business and brand, and then work with your own staff in a team effort to deliver content and manage campaigns as required. Every client is different, so how much we do can be up to you and how much time and skill your team can apportion to the task. Content Marketing, ideally, should be a part of any professional marketing mix. Generally it includes social media and email marketing, but mostly here we are talking about creating good quality content, articles, blog posts, PR, Newsletters and more, which will engage existing and potential customers and potentially encourage them to act in some way, such as phoning, emailing, visiting a website or making a purchase. There are also numerous methods and channels for distributing such content, and terms such as 'marketing automation' and 'outreach' represent some of these. With our branding, design and marketing expertise, as well as using our copywriters, we can design, organise and implement general and targeted campaigns to suit your purpose. For Outreach, we also have several distribution avenues available to either distribute your content around the Internet, or snippets of this content to encourage people to read the articles on your website, blog or social media channel as appropriate. Marketing by email has also become an important part of the online marketing tool kit. Email marketing is effectively the new form of what was called 'direct marketing', and whilst people can find it annoying (spam), for those where the email is relevant it can be effective and result in new enquiries and sales, usually at a much lower cost than its offline predecessor. There are a number of strategies and tactics for email marking and we can advise which should work best for your business. We can then design, produce content and graphics, send out the emails and track and report on the results, whether it be for one-off mailings or for regular newsletters. Some of the online marketing and promotion services we offer are listed below, but to find out more, please contact us or visit our separate website dedicated to SEO and online marketing by clicking here.